Ian Watt has given many recitals and solo appearances throughout Europe, in venues such as the 'Schubert Hall' (Vienna Concert House), St John's, Smith Square (London), King's Place (London), the Queen Elizabeth Hall (South Bank Centre, London) and Glasgow Royal Concert Hall. Watt has also given concerts at cultural festivals such as the Mikulov International Guitar Festival (Czech Republic), Kutna Hora International Guitar Festival (Czech Republic) the International Guitar Festival (London), 'Sound' Festival (Aberdeen) and the Big Guitar Weekend (Glasgow). His wide repertoire encompasses music from the renaissance to the present. As well as in the United Kingdom, Watt has performed in the USA, China, Germany, Austria, Czech Republic, France, Holland, Estonia, Norway and Belgium and as a concerto soloist, he has recently performed with the Los Angeles Chamber Orchestra, the BBC Scottish Symphony Orchestra, the City of London Sinfonia, Scottish Philharmonic Orchestra, Glasgow Chamber Orchestra and Aberdeen Sinfonietta. 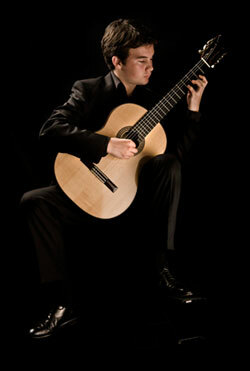 His international awards and prizes include 1st prize at the Heinsberg International Guitar Competition 2011, 1st prize at the 'Westfalian Guitar Spring' International Competition 2010 in Germany, silver medal at the Parkening International Guitar Competition 2009 in Malibu, 2nd prize and the Vienna International Guitar Competition 'Homage to Karl Scheit' 2010, and 3rd prize at the Koblenz International Guitar Competition 2011. An enthusiastic chamber musician, Watt has a particular interest in the voice and guitar repertoire and regards performing with singers as one of his favourite musical activities. As a keen advocate of contemporary music, particularly in expanding his instrument's repertoire, Watt has collaborated with composers such as Gordon McPherson, Rory Boyle and most recently John McLeod, whose Guitar Concerto (dedicated to Watt and the composer's first work for the instrument) he premiered in March 2010. Watt also took part in the Peter Maxwell Davies 75th birthday celebration concerts in Glasgow in November 2009, giving a performance of the rarely heard 'Dark Angels' song cycle for voice and guitar in the composer's presence. As well as his performances on BBC Radio, Watt was featured in a BBC 2 documentary which included a performance of Rodrigo's Concierto de Aranjuez and his performances have also been seen and heard on television and radio stations in the USA, Austria and Holland. The 2011-12 season will see him give his first concerts in Ukraine (a solo recital at the National Philharmonic Hall in Kiev) and Denmark as well as a return to China, Germany and the USA. His debut album, Invocacion - Impressions of Spain, was released by Nimbus Alliance in November 2011.